Kindly accept respectful obeisances at your lotus feet. Since I have come to the United States of America I had several correspondence with Sripada Govinda Maharaja. While I was in Calcutta at that time as well as in our different exchange of letters there was some hint from Sripada Govinda Maharaja, I should work in cooperation with your holiness and in my last letter I have already expressed my readiness to cooperate with your holiness and I had to ask from Govinda Maharaja as to the basic principle of that cooperation. Before I took Sannyasa perhaps you will remember it that I proposed to join you if my publications were taken up. But some how or other it was not possible and we missed the chance. Now here is a second chance and without undergoing a long series of correspondence with Govinda Maharaja, I am directly writing you about my intention. Srila Prabhupada had a strong desire to open our preaching centres in the Western countries and both Bon Maharaja and Goswami Maharaja were deputed for this purpose without any tangible result. I have come to this country with the same purpose in view and as far as I see it here in America there is very good scope for preaching the cult of Lord Caitanya. Here the Ramakrishna Mission is there for the last forty years and I attended their two centres here and I found there is no appreciable gatherings. Vivekananda preached for Daridra Narayana seva and the practical Americans question the swamijis of Ramakrishna Mission why there are still so many Daridra Narayanas lying on the streets and foot paths in India. In America there is no such scene of Daridra Narayanas lying on the foot path or in other words there is no question of Daridra Narayana here because every one has ample to eat and there immense vacant places for their homes. I have not seen a single spot here which is not nicely decorated with good houses and nice roads. Actually they have built a properous country in this part of the world and so material prosperity is concerned they are happy in every respect. So naturally there is spiritual hankerings and because India is well known for her spiritual assets they more inclined to take something spiritual from the East. But unfortunately either the Ramakrishna Mission or the Yogis have not delivered the goods they want. I had a talk the other day with Swami Nikhilanand of the Ramakrishna Mission and he also opined that the Americans are just suitable for the Bhakti Yoga cult and that is also my opinion. I am here and see here a good field for work but I am alone without men and money. To start a centre here we must have our own buildings. The Ramakrishna Mission or any other mission which are working here all have their own buildings. So if we want to start a centre here we must have also our own building. To have a own building means to pay at least Rs 500000.-five lacs or one hundred thousand dollars. And to furnish the house with up to date paraphernalia means another two lacs. If attempt is made this money can be had also. But I think for establishing Matha and temples here you may take the charge and I shall be able to make them self independent. There is difficulty of exchange and I think unless you have some special arrangement for starting a branch of Caitanya Math transfer of money will be difficult. But if you can do so with the help of the Bengal or Central Government, here is good chance to open immediately a centre in New York. I am negotiating with some brokers here who can give us a house and they have suggested like above. Without our own house it will not be possible to open our own centre. For me it will take long time but for you it is very easy. 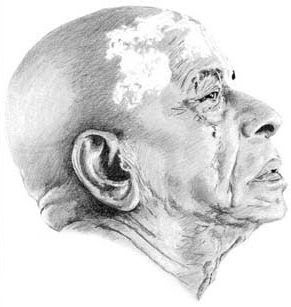 The Calcutta Marwaris are in your hand by the Grace of Srila Prabhupada. If you like you can immediately raise a fund of Rs 10,00,000.- ten lacs to open a centre in New Work. One centre started, I shall be able to start many others also. So here is a chance of cooperation between us and I shall be glad to know if you are ready for this cooperation. I came here to study the situation and I find it very nice and if you are also agreeable to cooperate with it will be all very nice by the will Srila Prabhupada. So I am writing you directly this letter to elicit your opinion. If you agree then take it for granted that I am one of the worker of the Sri Mayapur Caitanya Matha. I have no ambition for becoming the proprietor of any Matha or Mandir but I want working facilities. I am working day and night for my Bhagavatam publication and I need centres in the western countries. If I am successful to start a centre in New york, then my next attempt will be start one in California and Montreal where there are many Indians also. There is ample scope for working but unfortunately we have simply wasted time by quarreling with one another while the Ramakrishna Mission with misrepresentation have made their position all over the world. Although they are not so popular in these foreign countries they have made a great propaganda only and as a result of such propaganda they are very prosperous in India while the Gaudiya Math people are starving. We should now come to our senses. If possible join with our other godbrothers and let us make an effort combinedly to preach the cult of Gaura Hari in every cities and villages of the western countries. If you agree to cooperate with me as I have suggested above, then I shall extend my Visa period. My present Visa period ends by the end of this November. But if I receive your confirmation immediately then I shall extend my Visa period otherwise I shall return to India. Immediately I want some good assistants to work with me. They must be educated and able to talk in English as also read Sanskrit nicely. For preaching here two languages English and Sanskrit will be very much appreciated. I think under your leadership every camp of our god brothers should supply a man good for this purpose and they must agree to work under my direction. If that is possible then you will see how our beloved Srila Prabhupada will be satisfied on all of us. I think we shall all forget now the past fratricidal war and now come forward for a good cause. If they are not agreeable then do it yourself and I am at your service. Please therefore consider this and let me know by wire if you are agreeable. Otherwise I shall not extend my visa period but I shall return to India without being able to do anything tangible at my first tour. Hope you will take this matter as very urgent and let me know your decision by immediate return of post or by wire to my above address and oblige. Hope you are all well and thanking you in anticipation.